With beautiful south facing views over the Vale of Strathmore and free draining terrain, Strathmore is a proud, successful centre. 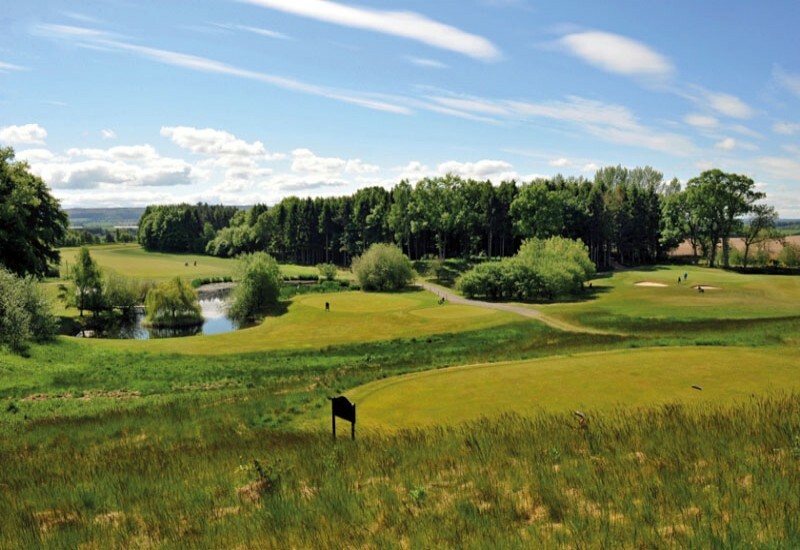 It comprises the magnificent 18-hole Rannaleroch Course, nine-hole Leitfie Links Course, floodlit driving range, short game area, practice putting green, and a clubhouse, all in a stunning Perthshire location. The Rannaleroch Course is set in undulating parkland and is being continually improved year-on-year. Designed by John Salvesen, it has already been described as ‘a classic’. The generous greens are great targets, but their undulations make holing out a greater challenge than you might expect. The four par-3's, meanwhile, range from 122 to 224 yards, while the fifth, a challenging par-5, requires a 160-yard carry over water from the whites. The warm welcome and friendly atmosphere in the clubhouse, hospitality and superb cuisine - and beautiful course - make it a venue not to be missed. 5th – The fifth hole is a challenging par-5 that requires a 160-yard carry over water from the whites. It’s certainly not one for the faint-hearted. The four par-3s, meanwhile, sum up the variety on offer throughout the course, ranging from 122 to 224 yards.